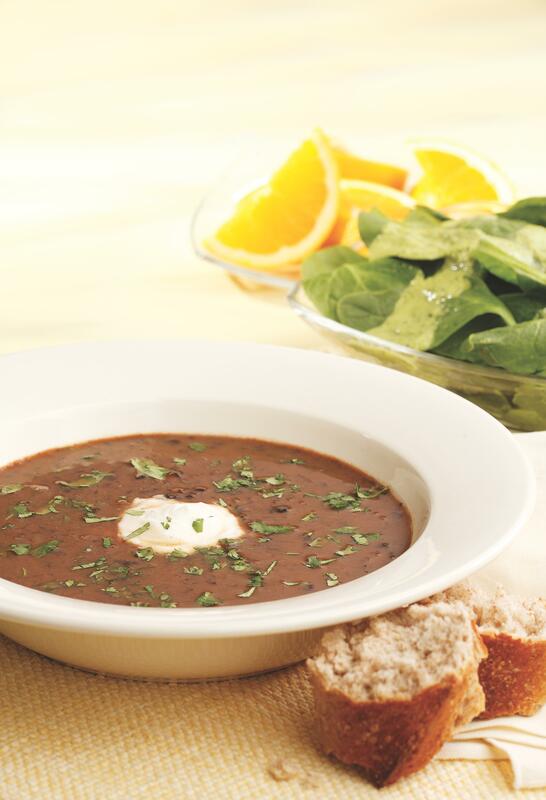 This is a zippy Southwestern-flavored black bean soup. We make it with canned beans so it comes together in minutes. If you have leftovers, pack them up in individual serving containers for lunch the next day. Cover and refrigerate for up to 3 days. Garnish with sour cream and cilantro, if desired, just before serving.